Meet our team of trustees. 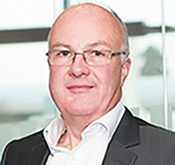 Andrew joined the Cranfield Trust as Chair of Trustees in January 2018. 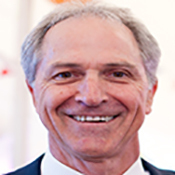 He is one of the two Founding and Managing Partners of 4ChangePartners, a consulting firm helping companies to manage strategic change, in addition, Andrew has a small Non-Executive Director Portfolio. Prior to January 2018 he spent the last 25 years as a senior partner at Ernst & Young, providing Technology and Change consulting support to major corporates globally. Michael is a business angel and adviser to small businesses. He has been CEO of companies in the printing and e-learning sectors and non-executive director of a number of early stage, growing businesses. He is on the investment committee of the Angel CoFund. He is also the co-author of "Successful Business Plans" and a mentor for The Prince's Trust. Gaynor has had a long career in the voluntary sector, focusing strongly on developing and running associations and networks, nationally and internationally, and the promotion of philanthropy and effective funding for the sector. She is trustee of several charities including Child Poverty Action Group and others very local to her home in North London. Dr Stephanie Hussels joined our Trustee Board in 2017. Stephanie teaches at Cranfield University on executive, graduate, and doctoral levels on entrepreneurship, entrepreneurial finance, family business and quantitative research methods. Her current research focuses on entrepreneurial resilience, family business and business survival. Stephanie has written several prize winning case studies and is now frequently asked to give talks about case study writing and teaching. 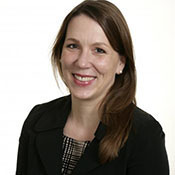 Stephanie has also been an invited member of the judging panel for the National Business Awards, the Great British Entrepreneur Awards, Growth Investor Award and the Case Centre Awards Competition. 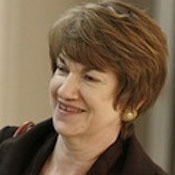 She has also been an external mentor at JLAB, the John Lewis incubator. In January 2018 Nick joined the Royal Academy of Engineering as a Policy Director, heading up its new Policy Centre. 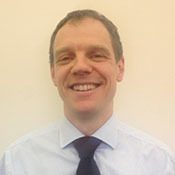 Previously Dr Nick Starkey held the position of Deputy Director of Science and Research for the Department of Business, Energy and Industrial Strategy. He has a varied history of voluntary activity. Hans joined Cranfield Trust as a volunteer in 2016 and was appointed to the Board in November 2018. He was educated in Southern Africa and moved to the UK in 1985. He was formerly Vice President of Caterpillar Inc, responsible for the Industrial Engine Business and more recently for Advanced Components and Systems based in the US. 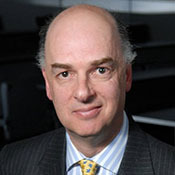 He is also Vice Chairman of the Board of Trustees at Oakham School and a mentor for The Prince's Trust. He is married with two daughters. 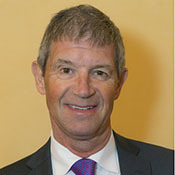 Graham is currently the Chair of the largest Social Enterprise providing urgent care services to the NHS. He is also a Non-Executive Director & Audit Chair for NHS Health Research Authority, regulating health and social care research in the UK. Graham is an alumnus of Cranfield School of Management and a volunteer with the Trust for over 20 years. He has been a Trustee & Treasurer for a number of charities, most recently CLIC Sargent, the children and young adults cancer charity and Mind, the mental health charity.